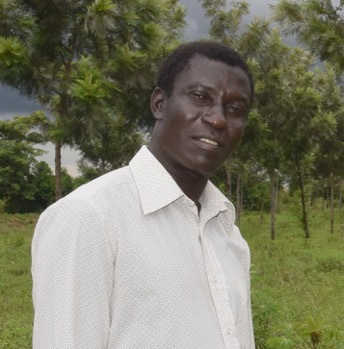 Moses is a livestock expert of many years standing in Ngora, Uganda. He is responsible for the NOVC project, the Goat Unit and the women’s goat improvement schemes in the villages, the Agro-forestry project and the Solar Panel project. In addition, he has built a laboratory for the Goat project, secure rooms for the NOVC materials and a dedicated poultry house and free range run for chickens and turkeys for the NOVC project. He organises a large number of training sessions, both for our projects, for schools and for the wider community (some from abroad). Two years ago he was given an award from the Ugandan government for this work. He is a leader of the community and is highly respected.